136 years ago today [4 Nov 1878], my 2nd great-grandfather Sewall Bridges Stanhope married Annie Amelia Hayward in Edmunds, Maine. She was the daughter of George Henry Hayward and Rachel Bridges Carter. I have no idea if Annie knew, but she was a Mayflower descendant via her mother’s line, a topic for a future post. Sewall was born in late August, 1852 in Dennysville, Maine, to Rodolphus and Charlotte (Leighton) Stanhope, one of 10 children. Sewall and Anna/Annie had 12 children, including my great-grandmother Bessie, over the next 28 years. They lived in Edmunds on Shore Road (which might now be S. Edmunds Rd) and his occupation was listed as Farmer or Farm laborer. 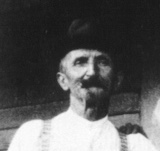 Sometime between 1910 and 1920, Sewall gave up farming and moved the family to the village of Milltown in Calais, Maine and found work as a “Woodsman” at a lumber company. He died 28 Feb 1934 at 81 years old and is buried in Dennysville, Maine. This post is 39th in the 52 Ancestors in 52 Weeks challenge series. 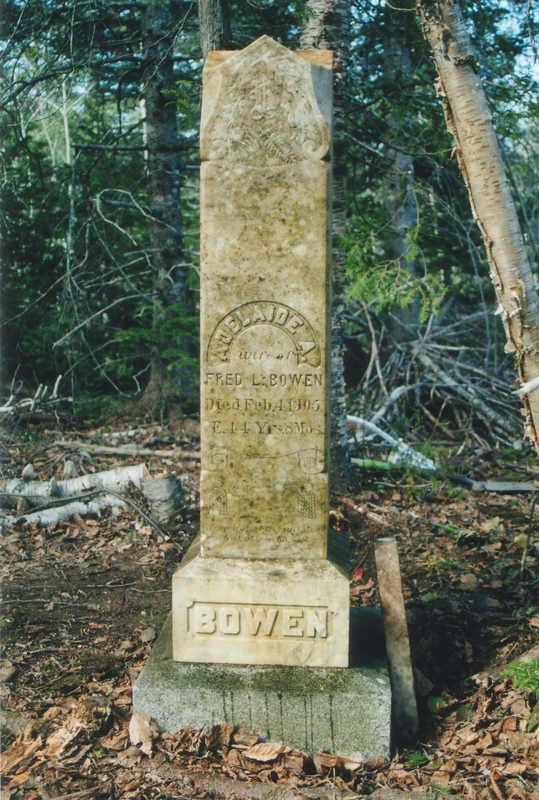 158 years ago today [28 Oct 1856], my 2nd great-grandfather Frederic Lowell Bowen was born in Perry, Maine, the eighth and last son born to William and Mary (Boynton/Boyington) Bowen. I imagine Fred had a pretty rough childhood. By the time he was 8, four of his older brothers and his father were dead. Leaving his mother with six children under 14 years old and the family farm. Fred ended up keeping the farm and in 1880 married Adelaide Robinson, the 20-year-old daughter of James and Sarah (Stanhope) Robinson. Over the next 25 years, they had 12 children: William, Sadie, Robert, Justin, Walter, Mattie, George [my great-grandfather], Dora, Amy, Myron, Edna and Augusta. Unfortunately, both Addy and Augusta died in childbirth on 4 Feb 1905. They are both buried in the Ross family cemetery on the farm (see the map for the approximate location). 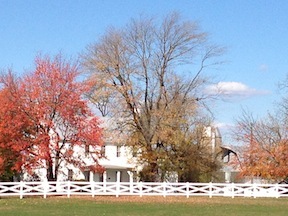 The Ross family lived on the farm after the Bowen family and a number of both families buried there. 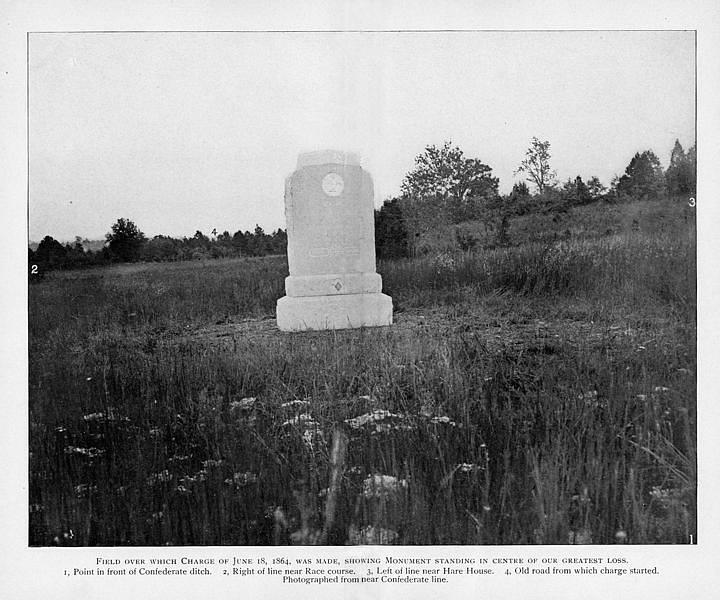 See “At Rest in Perry, Maine” compiled by cousins Jeanne O’Shea Wagner and Colon Morrison for more information about rural cemeteries in Washington county Maine. While I have heard some stories of Fred’s cruelty to his children, my grandmother remembered him as a kind man who took her into town (probably Calais or Eastport) on his horse and wagon and bought her a dress. Fred died in Perry on 19 August, 1922 of angina and is buried with his wife in the Ross Cemetery. This post is 38th in the 52 Ancestors in 52 Weeks challenge series. 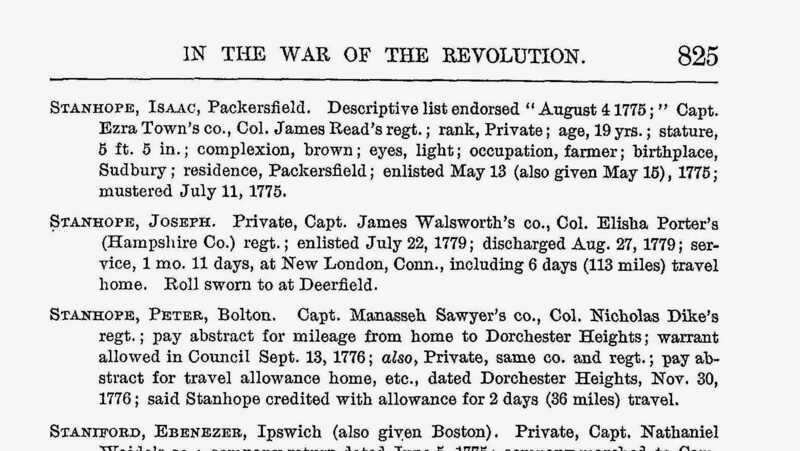 Last night on Who Do You Think You Are some movie person that I’m not familiar with found out that her 5x great-grandfather was a Loyalist during the American Revolution. It reminded me that I too have a Loyalist ancestor, although I hadn’t done much research on him. Stephen Fountain, my 6x great-grandfather, was born in Stamford, Connecticut around 1745 to Matthew Fountain and an unknown to me wife. Some online trees have Elizabeth Hoyt as the mother of all of Matthew’s children, but there is some conflicting information and I’m pretty sure that the first four or five children where from a different mother. More investigation is needed there. In 1775 and 6, Stephen is married to Sarah (Scofield) and is a blacksmith/gunsmith in either Brookhaven, NY or Stamford, possibly both. And apparently, he is assisting the British ships in Long Island Sound with arms and supplies, and recruiting those sympathetic to the crown. In all, 22 witnesses testify against Baker and Fountain and they are convicted “as persons that have acted inimical to the liberties of America in a most glaring manner”. The committee asks Lieutenant William Clarke to take the prisoners to the Provincial Congress in New York for disposition. On 8 June 1776, Congress confirms what the Brookhaven Committee had decided and sentences them to prison. Jonathan Baker and Stephen Fountain, charged and convicted by the Joint Committees of Brookhaven, Manor of St.George, and Patenship of Meritches, of being enemies of their country, and, as such, of having taken up arms and held correspondence with our enemies on board of the Ministerial Ships of War, and very much promoted discord amongst the inhabitants, and seduced many to forsake the cause of their country, were sent to this Congress. Resolved, That the said Jonathan Baker and Stephen Fountain, be committed to close custody. And Ordered, That Daniel Goldsmith, the Jailer, he, and he is hereby, directed and requested to receive and keep them in safe custody until the further order of this Congress. Details are sketchy on what happens next and how long he was imprisoned for, but it seems that Stephen escaped and joined the Royal Army. 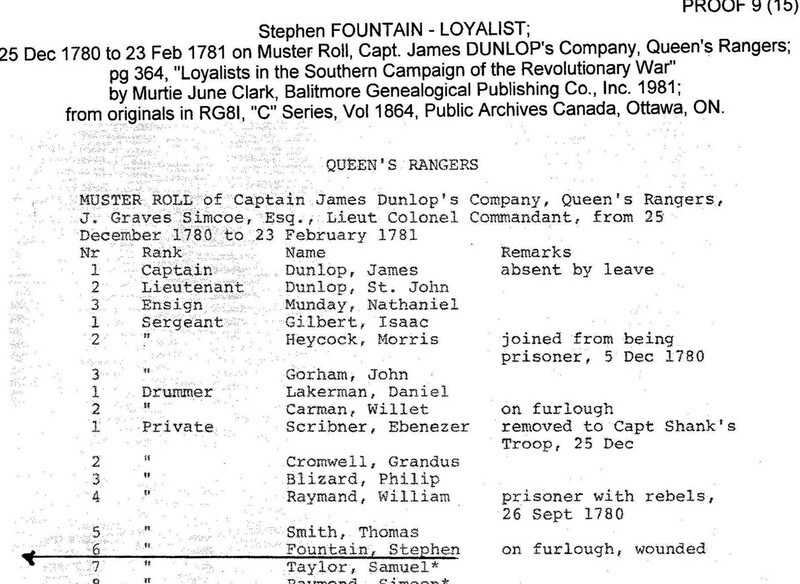 In late 1780 through early 1781, Stephen was a member of the Queen’s Rangers. Fans of the TV series “Turn” might recognize the Lieutenant Colonel Commandant of his unit, one John Graves Simcoe, Esq. I’m hoping Stephen makes an appearance next season! Credit for this document goes to Linda Drake, a cousin that worked with UELAC to establish Stephen Fountain as a documented Loyalist. In April of 1783, Stephen, wife Sarah and 207 other Loyalists boarded the ship “The Union” and were resettled in Nova Scotia. The Loyalists were granted land there and Stephen established a blacksmith shop and lived in Sandy Cove, Digby, Annapolis County, Nova Scotia until he died in 1818. This post is 28th in the 52 Ancestors in 52 Weeks challenge series. Special thank you to cousin Linda Drake, who worked with UELAC to document that Stephen Fountain was a Loyalist and to past president of UELAC Vancouver Branch Wendy Cosby who called this to my attention. I’m fortunate to have a direct ancestor that participated in the American Revolution, my 5th great-grandfather Peter Stanhope. I’ll eventually get around to filling out my Sons of the American Revolution membership application. Peter was born 29 Nov 1759 in Sudbury, Massachusetts to Samuel and Elisabeth (Angier) Stanhope. Peter married Elizabeth Parmenter 30 Nov 1775 in Bolton, they had 12 children there and at some point between 1802 and 1810 moved to Plantation 4 [later Robbinston] in Washington County Maine. In 1845 he died there at age 86. This post is 25th in the 52 Ancestors in 52 Weeks challenge series. Ancestry.com. Massachusetts Soldiers and Sailors in the Revolutionary War (Images Online) [database on-line]. Provo, UT, USA: Ancestry.com Operations Inc, 2004. Original data: Massachusetts. Secretary of the Commonwealth. Massachusetts Soldiers and Sailors of the Revolutionary War. Vol. 1-17. Boston, MA, USA: Wright & Potter Printing, 1896-1908. Fold3.com. Case Files of Pension and Bounty-Land Warrant Applications Based on Revolutionary War Service, NARA M804. Record of Samuel Stanhope, page 5 of Pension Application. Accessed 4 Jul 2014. http://www.fold3.com/image/27175135/. 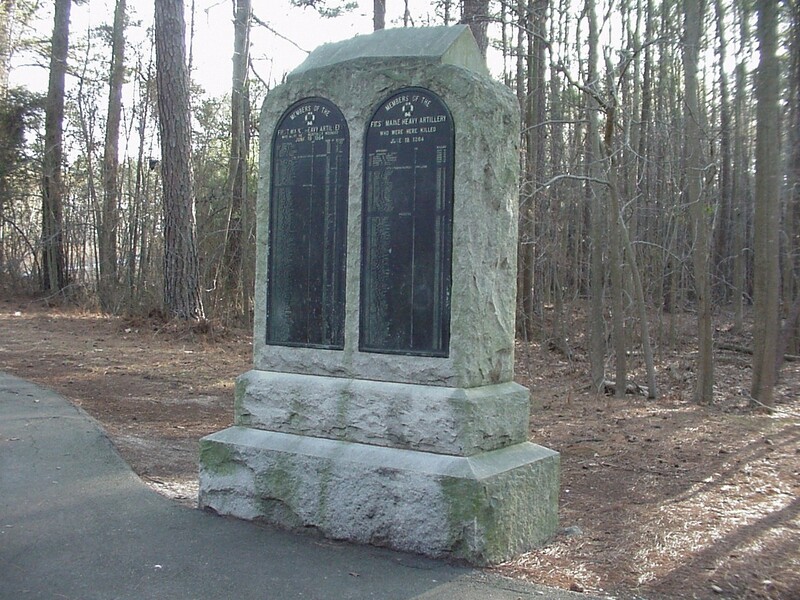 A monument stands in the Petersburg National Battlefield near Colquitt’s Salient Trail. Today there are tall pine trees, a paved path and quiet. It’s hard to imagine that this exact spot was once an open field described as “a burning, seething, crashing, hissing hell”. 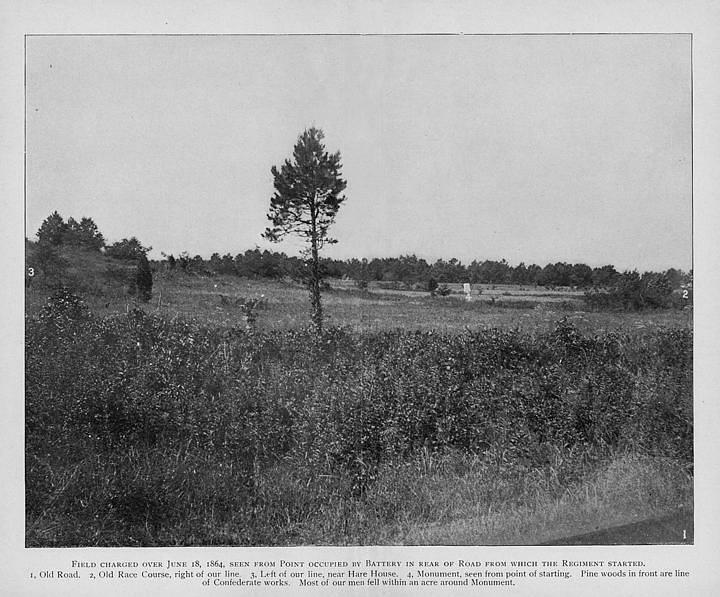 Lieutenant Horace H. Shaw used those words to describe the events of 18 June 1864, when the 1st Maine Heavy Artillery regiment, some 900 men, were ordered to charge across 300 yards of open field to attack the Confederate breastworks near the tree line. Of the nine hundred, 632 were killed or wounded in the span of 10 minutes. The largest loss of life in a single action of any regiment in the war. 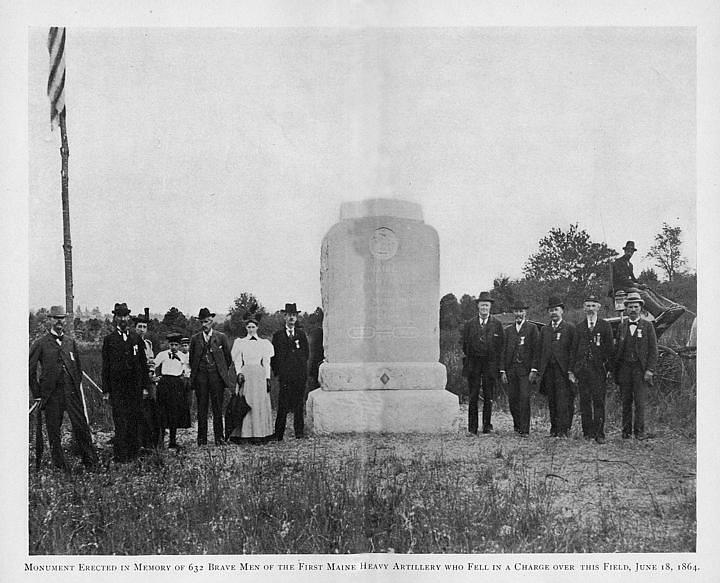 In 1895, Horace Shaw organized funds to purchase the land and commission the monument [details here]. One of the survivors was my 1st cousin 4x removed George A Stanhope, older brother of Gilbert. George was 22 when he enlisted in 1862, his first child Emma had been born just a few months before. In November of 1864 he was promoted to Corporal and returned to Robbinston, Maine when he mustered out in June of 1865. He and his wife Susan (Laskey) had nine more children, I’ve only found seven of the ten so far: Emma, Sophronia, George Jr, John, Mary, Alice and Jessie. Susan died in 1912 and two years later George married Sophia Hatt. He died 24 May 1919 in Calais, Maine. The more I read about what the men of the 1st Maine went through, the more I respect and appreciate the sacrifice made by the men and women in our military. I will certainly make every effort to observe Memorial Day more formally going forward, they deserve at least that. If you are planning to visit this National Park, I’d highly recommend a visit to Civil War Hikes. Shaw, Horace H, and Charles J House. The First Maine Heavy Artillery, 1861-1865: a History of Its Part and Place In the War for the Union, with an Outline of Causes of War and Its Results to Our Country. Portland, Me, 1903. Available online via GoogleBooks ( http://books.google.com/books?id=G50dAQAAMAAJ ) Accessed 20-22 May 2014. This post is 21st in the 52 Ancestors in 52 Weeks challenge series. In 1862, Peter (my 3rd great-grand uncle) and Caroline (Davis) Stanhope had 5 sons of age to serve in the military. Curtis registered, but I can find no record of military service. 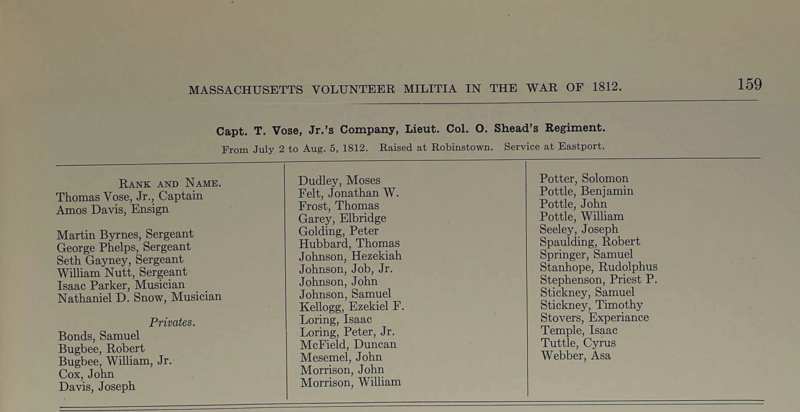 Aaron and Lorenzo served in Infantry regiments (9th and 28th, respectively), George and Gilbert served in Company D of the 1st Maine Heavy Artillery. Fortunately they all survived the war, though not without some physical reminders. In 1890 Gilbert was documented suffering as from rheumatism and deafness, he was 44 years old. Year: 1890; Census Place: Jonesboro, Whitneyville and Marshfield, Washington, Maine; Roll: 7; Page: 3; Enumeration District: 59. Ancestry.com. 1890 Veterans Schedules [database on-line]. Provo, UT, USA: Ancestry.com Operations Inc, 2005. Image modified by author to show the relevant lines. Over a 30 day span, he would have participated in the Battle of Spotsylvania Courthouse, Second Cold Harbor and Petersburg as well as a number of smaller skirmishes. During that short time, over 1100 of his comrades in the 1st Maine were killed or wounded [over 600 in just 10 minutes at Petersburg]. And the war wasn’t over, they fought for almost another year. The accounts [see Ch.9 A Burning, Seething, Crashing, Hissing Hell] of 18 June 1864 at Petersburg alone are horrifying, I can’t imagine how the survivors could ever shake the shadow of war. Gilbert returned to Washington county after the war and married Charlotte Frost. He worked as a farm laborer and lumberman. They had seven children: Frank, Lillie, Jonas, Betsy Annie, Sadie, Isabel and Gilbert. 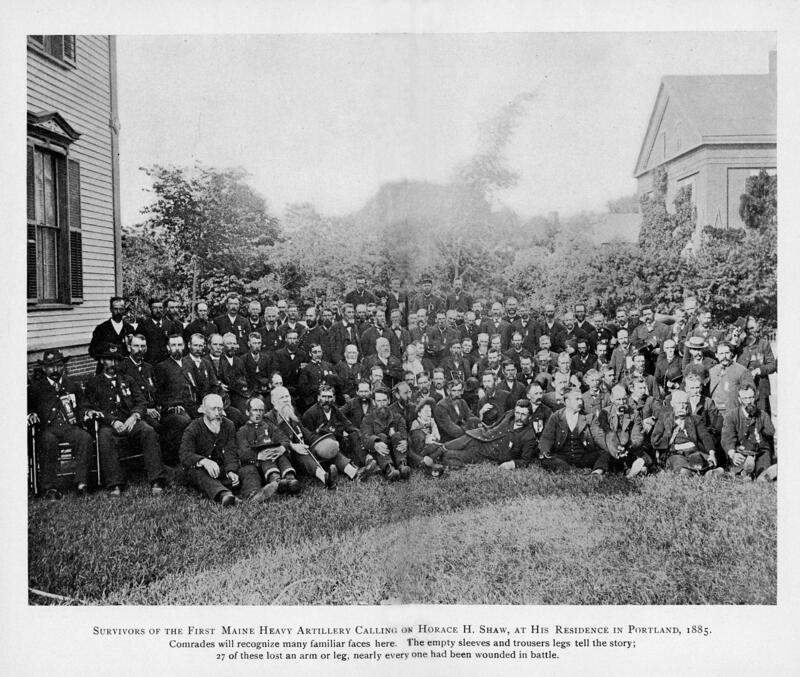 In 1885, the survivors of the 1st Maine Heavy Artillery gathered in Portland, Maine. I’m not sure if Gilbert was there, I’d love to find a picture of him to compare with this one. Image from the book “The First Maine Heavy Artillery, 1861-1865” by Horace H. Shaw, Charles J. House. Citation details at the bottom of the page. Gilbert died 17 June 1902 at age 56. According to his death record he broke his neck falling out of a wagon while intoxicated. A sad, unfortunate end to be sure. Shaw, Horace H, and Charles J House. 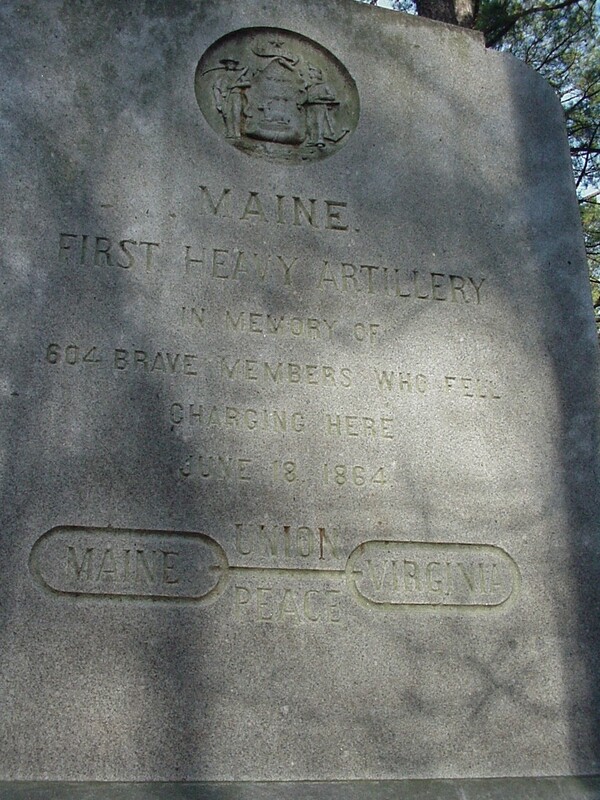 The First Maine Heavy Artillery, 1861-1865: a History of Its Part and Place In the War for the Union, with an Outline of Causes of War and Its Results to Our Country. Portland, Me, 1903. Available online via GoogleBooks ( http://books.google.com/books?id=G50dAQAAMAAJ ) Accessed 12-14 May 2014. This post is 20th in the 52 Ancestors in 52 Weeks challenge series. 150 years ago today… great post from Chris Mackowski on the Emerging Civil War blog on the 1st Maine Heavy Artillery. With the Overland Campaign bleeding the Army of the Potomac dry, Ulysses S. Grant called for fresh blood. Among those answering the call were “heavy artillery” units from the defenses around Washington—including the 1st Maine Heavies, shipping south from Fort Sumner, located in what is now Bethesda, Maryland. No sooner had they joined the army, though, than they found themselves embroiled in a hot fight. My 2nd great-grandfather James Lucey had a wife and child before he married my 2nd great-grandmother. She died in childbirth along with their son James in 1868. Her name was Mary Jane Crotty and according to the 1865 Massachusetts census, was literally the girl next door. There was no civil record of the marriage or of the birth, just her death record which listed her maiden name. So how do I know about it? His Civil War pension application. Having that information put me in contact with Flavia Adams, a descendant of the Crotty’s, fellow genealogist and a wonderful woman. It also helped to explain the strong connection between the families. If it weren’t for the pension records, that connection might have been lost to history. The Federation of Genealogical Societies, in partnership with the National Archives, Ancestry.com and Fold3, launched a fund raising campaign to digitize 7.2 million War of 1812 pension documents held in the Archives. Once digitized the files are available for free via Fold3. There are thousands of stories in those very fragile documents, they need to be protected and made available. Please join me in supporting this extremely important effort by donating at Preserve the Pensions. One War of 1812 Pension records that I’m particularly interested in is that of my 4th great grandfather Rodolphus Stanhope. He was born around 1796 in Massachusetts, possibly in the Sudbury area where his family lived before moving to Plantation 4 [which became Robbinston in 1811] in present day Maine. He was a young man of 15 or 16 when he volunteered for Captain Thomas Vose’s company in July of 1812, just weeks after Congress authorized the war. Massachusetts Volunteer Militia in the War of 1812, pg. 159 Records of the Massachusetts Volunteer Militia Ancestry.com. U.S., Adjutant General Military Records, 1631-1976 [database on-line]. Provo, UT, USA: Ancestry.com Operations, Inc., 2011. Original data: Various. Sacramento, California: California State Library. Rodolphus married Susannah Hickey in 1815 and they had 13 children over the next 30 years. They lived in Robbinston, Perry and finally Whiting, Maine. Rodolphus died 17 August 1870 and a short time later Susannah applied for his War of 1812 pension. I can’t wait to see what stories might be in his pension records. Help make sure that none of the records are lost, make a tax-deductible donation at Preserve the Pensions. Ancestry.com. War of 1812 Pension Application Files Index, 1812-1815 [database on-line]. Provo, UT, USA: Ancestry.com Operations Inc, 2010. This post is 13th in the 52 Ancestors in 52 Weeks challenge series. Today is Native American Day, in South Dakota at least, which reminded me of an old family rumor that my grandmother was part Native American. She didn’t think she was, but didn’t know. 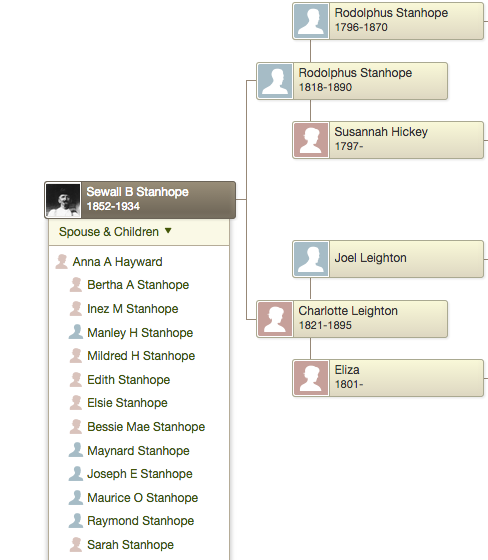 Her mother, Bessie Stanhope, was the great-granddaughter of James Carter and Deborah Newell. James was born in 1765 in England and by 1788 had settled in Moose Island, Maine, which is part of Eastport and right in the heart of Passamaquoddy Tribe territory. According to many online family history pages and forum messages (example), his wife Deborah was from the Passamaquoddy Tribe. I haven’t found any evidence of this specifically, but I certainly haven’t exhausted all sources yet. The websites I’ve seen haven’t pointed to any actual source documentation either. I have taken DNA tests with 23andMe, Ancestry DNA and Family Tree DNA and none have shown any Native American ancestry, however Deborah would be my 5th great-grandmother, so it’s possible that none made its way to me in an identifiable segment. While it won’t prove that Deborah was Native American, I’d love to hear from any other descendants of James Carter and Deborah Newell that have taken DNA tests. 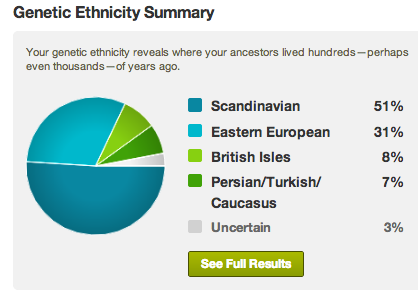 Back in April 2012 I received my AncestryDNA results and wrote about my surprise at seeing Scandinavian and Persian/Turkish/Caucasus in my Genetic Ethnicity results. I’ve had some recent results that possibly shed some light on both question marks in my, and hopefully others, genetic ethnicity as AncestryDNA sees it. At the time of my DNA test, the most popular theory was that the Vikings were lovers as well as fighters and that most of my Irish/English heritage is shown as Scandinavian. Back in August I connected with a cousin from my Stanhope line (Hi Susan!) and she pointed me to the website of Michael Stanhope, which seems to support that theory. Michael, with the disclaimer that the information is“…what might have been rather than what definitely was”, documents the Stanhope line back to “…Halfdan Olafsson, Jarl of Vestfold, Ringerike, Hadeland, and the Opplands.” around the year 700 in Norway. The line supposedly goes from Norway to Normandy to England to America. 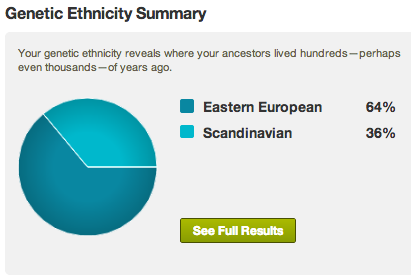 That could certainly account for some of my Scandinavian ethnicity but it’s all but unprovable from a genealogical perspective. I was hopeful for something more concrete. My Irish/English and Stanhope ancestry is on my paternal side, so every time I saw someone with Scandinavian listed as our “Shared Ethnicity” on Ancestry DNA, I automatically looked for surnames and locations from that side of my tree. Turns out I was being shortsighted. 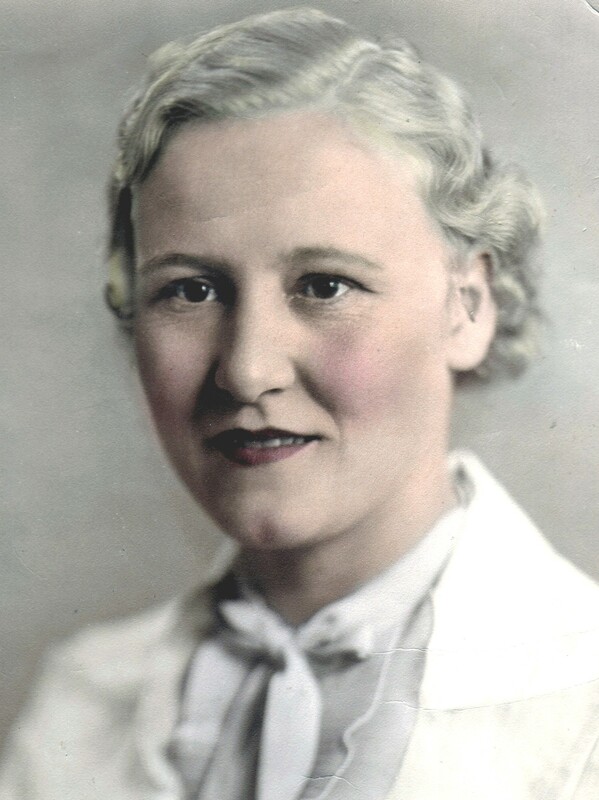 My maternal grandfather’s parents are German and Lithuanian and although my grandfather is no longer here, his wonderful sister Jane is. My great-aunt Jane took the DNA test in December and yet another surprise when her results came in: 64% Eastern European, 36% Scandinavian. When I look at the matches we have in common, it turns out that on many of them the Shared Ethnicity is Scandinavian and the Shared Birth Location is Germany. Most of the matches have no obvious Scandinavian heritage (surnames or birth locations). Some matches have Central European ethnicity as well, which is where you’d expect German heritage to show. So, it seems that some German ancestry shows as Scandinavian in the Ancestry DNA system. Perhaps these people originally were from Scandinavia and the test is picking up that deep ancestry or perhaps it’s just an error in the way the system works. Any readers with Scandinavian in your DNA results where you expected German? My maternal grandmothers parents are both from Quindici, Avellino, Italy, which is a small town near Naples. You’d expect them to show as Southern European in my ethnicity, but I don’t have any. I recently found a DNA match where the persons grandmother was a Manzi and our only shared ethnicity is Persian/Turkish/Caucasus. Legend has it that my Fusco’s from Malden, Massachusetts are cousins of the Manzi’s from Lawrence, Massachusetts but I have not been able to find documentation of the connection yet. I’ve sent a message to the match to see if we can find a connection, I’m hopeful we will. Are you seeing a similar or contrary pattern in your AncestryDNA results? I’d love to hear about it, please leave a comment. In the Boston area, going to visit the U.S.S. Constitution in Charlestown is a right of passage for every kid. 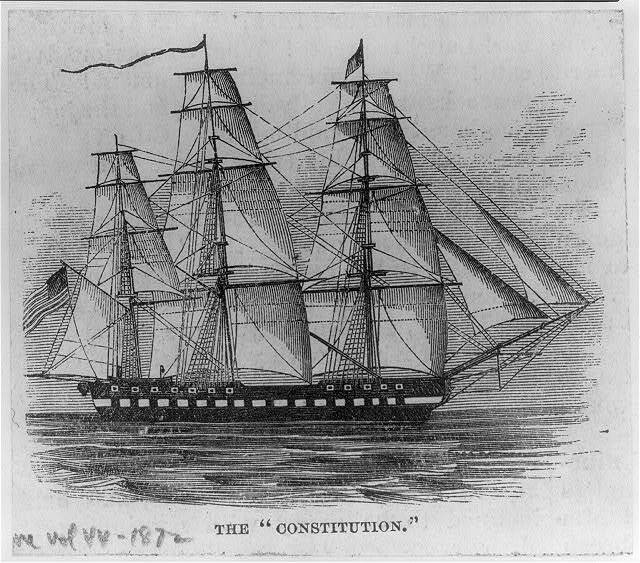 Two hundred years ago today, America declared war on Britain and the Constitution would earn its nickname “Old Ironsides” in the ensuing naval battles. The War of 1812 is sometimes called the “forgotten war”, overshadowed by the American Revolution and the Civil War. But, it was an important step for America, to prove to Britain and the world that it could stand up on its own. 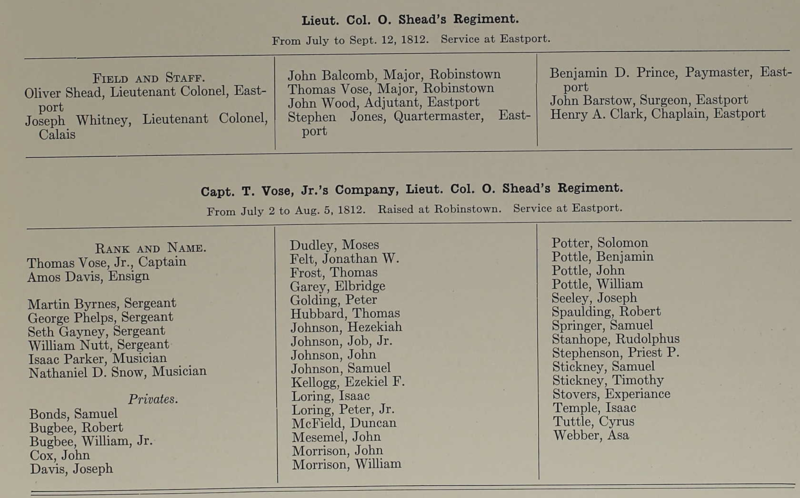 My 4th Great-grandfather Rodolphus Stanhope enlisted at Robbinstown, Maine as a Private in Capt. Thomas Vose Jr.’s Militia, Lieutenant Colonel Oliver Shead’s Regiment.1 He was 15 years old at the time. I can’t find any record of engagements for this unit, so I don’t believe he saw any fighting. He does show up in the War of 1812 Pension Application Index on Ancestry.com. The actual Pension files are being digitized (you can support the cause here) and will be available on Fold3 as they are completed. I will probably order the records from the National Archives this summer. Rodolphus (1796-1870) was the son of Peter and Elizabeth (Parmenter) Stanhope. He married Susannah Hickey in 1815 and they had 13 children including my 3rd great-grandfather, Rodolphus in 1817. 1. Ancestry.com. U.S., Adjutant General Military Records, 1631-1976 [database on-line]. Provo, UT, USA: Ancestry.com Operations, Inc., 2011.